Of late I've been on a serious dinosaur rampage. Thank you very much, Jurassic World! 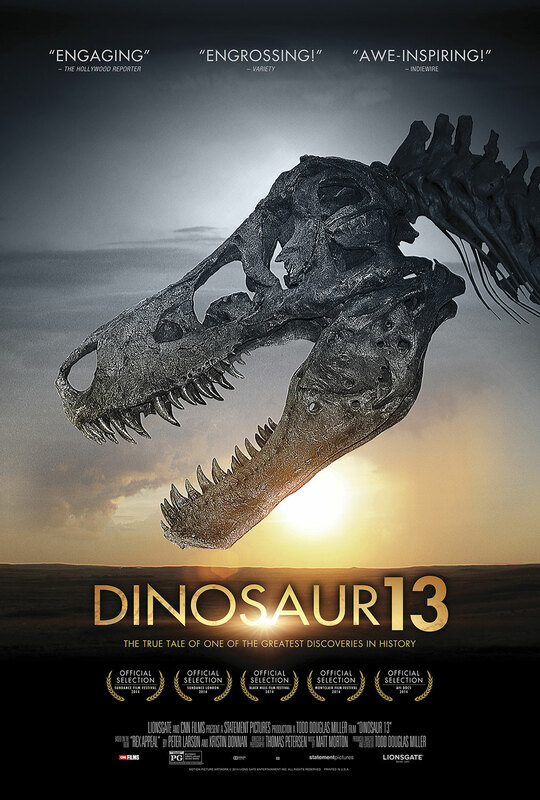 Strolling through Netflix one night, I stumbled upon Dinosaur 13 (2014), a documentary by Todd Douglas Miller about the largest and most complete Tyrannosaurus Rex ever found. 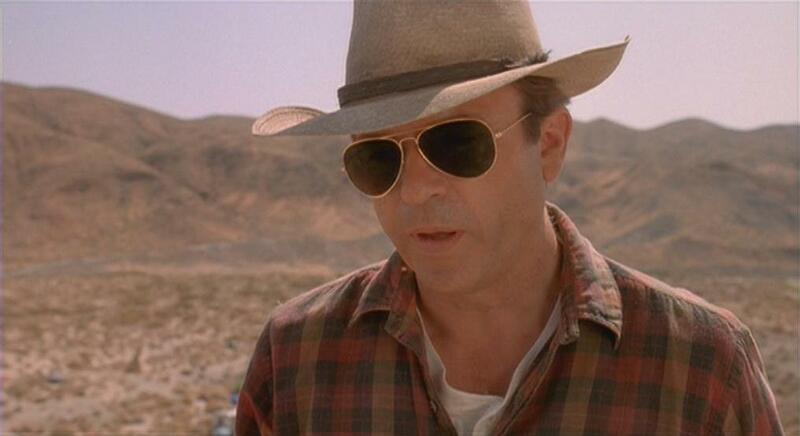 Seeing how I know very little about the paleontology side of things, I decided to channel my inner Alan Grant and dig into Miller's dino doc. What better way to chip away at my lack of knowledge? It's 1990. While digging in the badlands of South Dakota, paleontologist Pete Larson and his team discover the most complete T-Rex skeleton ever. The specimen, named Sue after Larson's paleontologist partner Sue Hendrickson, was to be the centerpiece of a to-be-built museum in Hill City, but things turned out quite differently. Larson's find and "purchase" of Sue ended up sparking a nightmarish custody battle made especially difficult becuase of patchwork land ownership (Larson and his team collected on the land of Maurice Williams, whose land technically belonged to the government), petty politics, and the complexity of fossil law. The government seizure of Tyrannosaurus Sue and the 10-year-long long custody battle that ensued is an interesting tale of scientific discovery and politics. Miller's not-so-subtle pro-BHI bias (land owner Maurice Williams wasn't interviewed) and drawn-out narrative (100 minutes was not cecessary) aside, Dinosaur 13 is a fine and compelling documentary about injustice and the porousness of the legal system.